In this high energy cardio class, your professional instructor will teach you the proper technique and take you through different combinations of punches. This non-contact class will define your arms, shoulders and flat abs while perfecting the four basic punches: jab, straight, hook and uppercut. All fitness levels are welcome. Hand wraps and gloves are required. 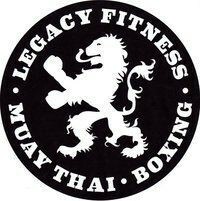 There are no upcoming “Legacy Cardio Boxing/ Kickboxing Conditioning” classes on this day.